SODUS, NY – The search for a 14-month-old boy in western New York whose mother's body was buried in the woods begins on Monday his sixth day, though the authorities say he may this not be alive. The search for Owen Hidalgo-Calderon was a daily task for the authorities, as the body of his 18-year-old mother, Selena Hidalgo-Calderon, was found on Wednesday. 6 May. The warning said he was taken under circumstances that made the police believe he was in danger of seriously harming or dying. "I hope Owen lives," said Wayne County sheriff Barry Virts, according to CBS member WSTM. "But we are also looking for the possibility that this might not be true." Virts said Reyes had admitted burying the woman but not killing her. The authorities said that Reyes was caught on a hunter's camera with a shovel in and out of the forest. The body was found wrapped in a plastic bag, the station reported. 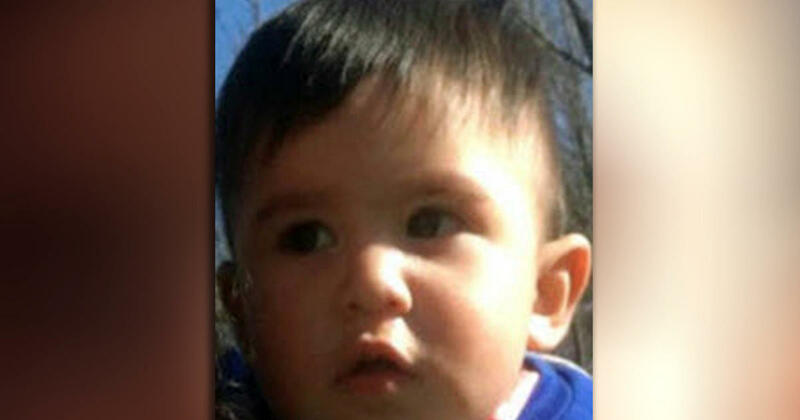 Officials said the child was last seen by Reyes on or about May 16. According to US Immigration, Reyes was removed from the United States States in two previous cases in 2016 and 2017, the station reports. ICE said on Monday that Gutierrez-Reyes was handed over to the federal agency. Reyes, who has a $ 25,000 bail, is scheduled to return to court Tuesday. He is not the father of the missing boy. Virts has posted daily updates online in search. He said that 200 people seeking Sunday included representatives of the Wayne County Fire Department, New York State Forest Rangers, state and local police, the Search and Rescue Federation, the missing and exploited children, and ambulance and emergency commandos contained. On Saturday, the search was joined by about 165 individuals, many of them from the same groups. He urged anyone with information to call the Wayne County 911 Center. Rebecca Fuentes of the Workers' Center of Central New York told the Rochester Democrat and Chronicle that Hidalgo-Calderon came from Guatemala and sought asylum. Hidalgo-Calderon has been in the US since November 2016, according to the Workers' Center. "My daughter and my grandson were my life," said her mother, Estela Calderon, in a statement from the center. "She was my first born and I feel like a piece of my heart is gone." © 2018 CBS Interactive Inc. All Rights Reserved This material may not be published, transmitted, rewritten or redistributed The Associated Press has contributed to this report.